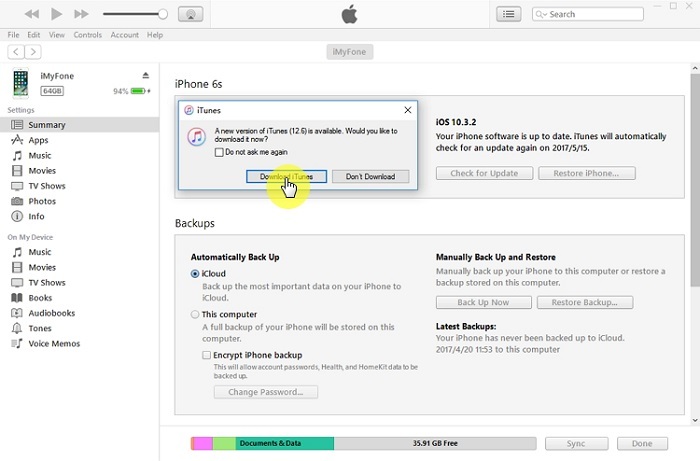 Users may encounter error 54 -iPhone cannot be synced because it cannot be found on their Apple devices, when one of the files which they are trying to sync is locked. If you click Ok, when this error message pops up on your screen, the synchronization proceeds normally. If the error persists and reappears on your screen and keeps on frustrating you, do not fret. There are some solutions that you can try out to resolve this issue. We have enlisted them below. Error 54 can appear in different forms depending upon the type and version of your Apple device. The iTunes Library File Cannot be Saved. An unknown error occurred (-54). We could not complete your iTunes Store request. An unknown error occurred (-54). The iPod “Name_iPod” cannot be synced. An unknown error occurred (-54). iMyFone TunesMate iPhone Transfer is one of the most convenient and easiest ways to freely transfer apps, media, music and all types of files between your iOS device and itunes. 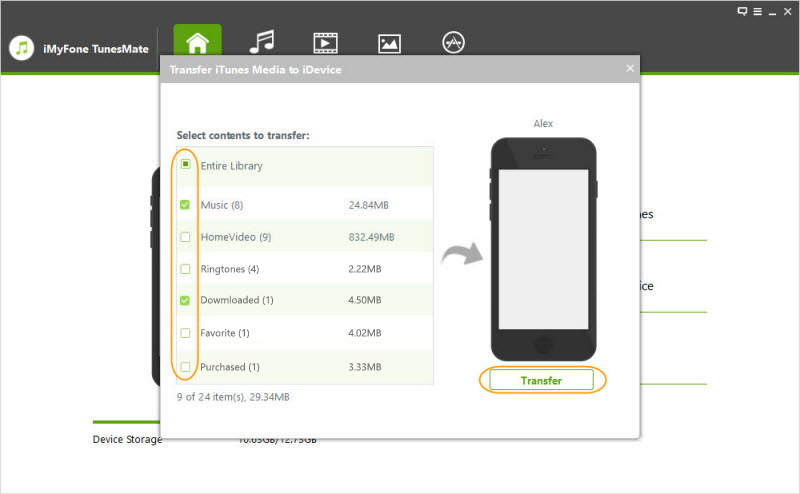 Unlimited media share- With iMyFone TunesMate, you can transfer data from and to unlimited iDevices and unlimited iTunes libraries. No discrimination between types of files - Both paid apps and files and free apps and data can be transferred with ease through Tunes mate. No loss of data - as TunesMate ensures that all your files are safely transferred, without the erasure of old data. Preview and selectively sync the data he intends to transfer. The playlist feature enables user to create, rename files and export them between iTunes, your personal computer and your iDevices. Using iTunes mate is fairly simple and with a single click, you will be able to sync your iTunes media files to your iDevice. Step 1: Launch TunesMate after downloading and installing it. Step 2: Go to the tab of “Transfer iTunes Media to iDevices". 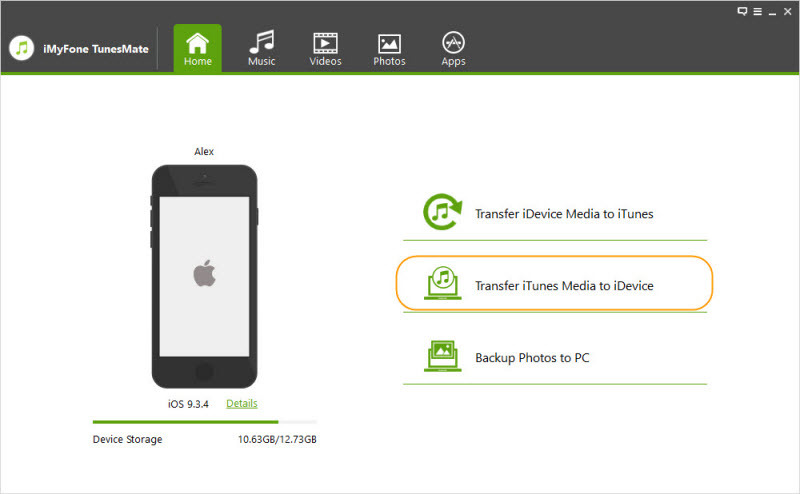 Step 3: Select those files that you want to transfer and after previewing them, then click on “Transfer”.Voila! The synchronization process is complete, all in a matter of seconds. If you are running an old and obsolete version of iTunes, updating it might eliminate this error. iTunes asks for your permission to update, when the update becomes available or you can manually download the updates and install them. Outdated versions of the iOS might not be compatible with the latest version of iTunes. To resolve this compatibility issue, it is suggestible to do a software update. This is one of the leading causes of the error 54- iPhone cannot be synced because it cannot be found and a simple upgrade of your iOS software will fix it. If you want to sync your files, granting authorization to your computer to access iTunes content is essential. Without it, the synchronization process will end in failure. Open your iTunes software and locate the store category. There, you will have the option to authorize your computer. 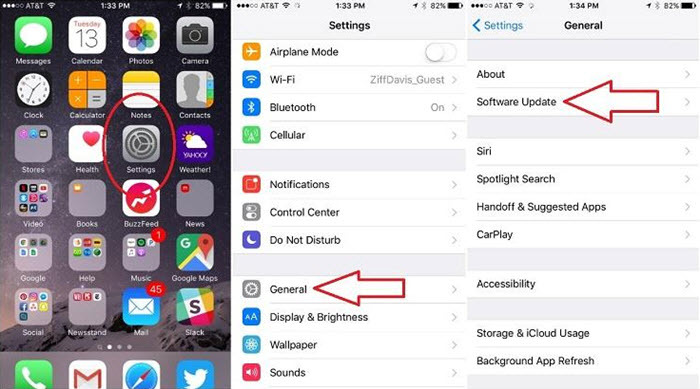 This will also eliminate many other iPhone errors that you might be encountering. Configuring iTunes settings and granting permission to read and write can remedy this error. Here is how you can do this. Go the music folder in my Computer and open the iTunes folder. Right click on the iTunes icon and select properties. Untick the Read only option. 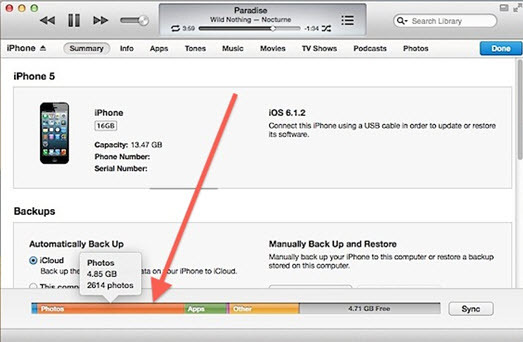 This error can also occur, if there your iPhone is running low on space. The error 54-‘’iPhone cannot be synced because it cannot be found’’ has a possibility of appearing if your storage space is low and you still try to sync heavy files and data to your device.